I am a huge fan of solids as well, but I do have a special place in my heart for polka dots and stripes! Love the black and white polka dots with the bright scarf! You look like SUCH a badass in that last picture ahahaha I LOVE IT!!! Boys are so silly sometimes. Your look is so urban friendly. You're fresh, girly and stylish. 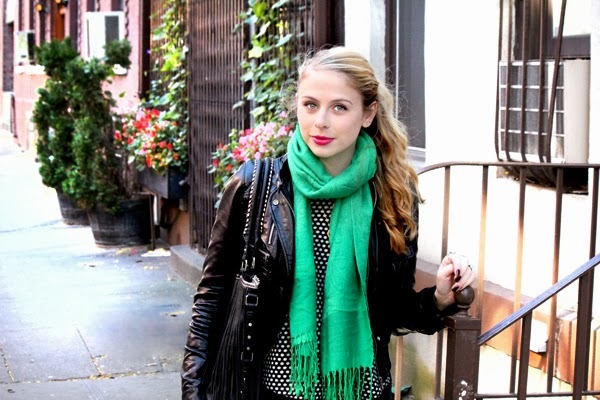 I love how you added that pop of color to your outfit with the green scarf!